pet sitter or dog walker to do differently? 5) Do you have any additional comments about our services? number to future clients as a reference? you to receive phone calls of this nature? will be used as a client reference? testimonial page on the website. Thank you! 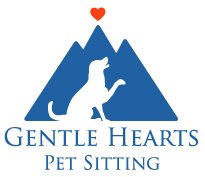 Thank you for choosing Gentle Hearts Pet Sitting! few moments to let us know how we did!